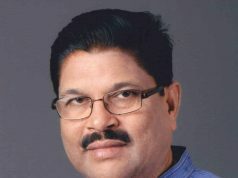 Report by Basanta Rath, Nabarangpur: People from all walks of life today paid glowing tributes to the former MLA Jagabandhu Majhi on the seventh death anniversary here at Raighar on Sunday. 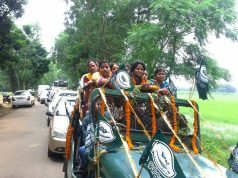 In a meeting organised at the stadium ST and SC development minister Ramesh Chandra Majhi, DPC Chairperson and Nabarangpur MLA Manohar Randhari, Umerkote MLA Subas Gond, Zilla Parisad Chairperson Bhagabati Bhatra, district BJD president Prahalad Tripathy, General Secretary Asis Ranjan Patnaik, and several party members paid rich tributes to former MLA. 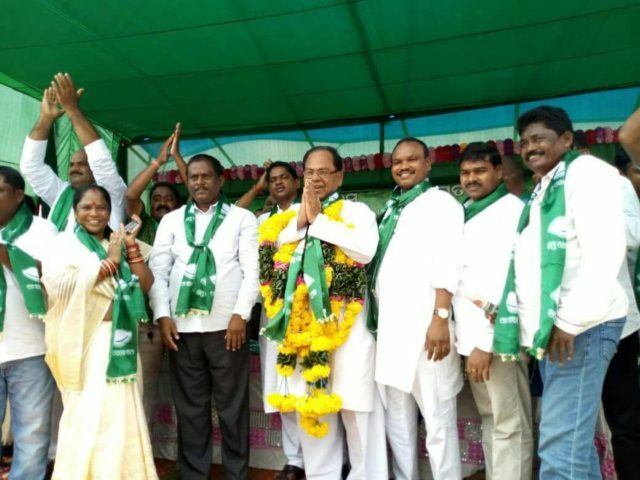 Umerkote MLS Subash Gond, thanked the people for sharing their grief to Majhi, The MLA said that he was following Majhi’s footstep to serve the people of Umerkote assembly segment with the same zeal and dedication. The wheel chair bound MLA Majhi from Umerkote assembly seat of the district, and his PSO Prasant Patro were shot at point blank range by three assailants when he was distributing land pattas to landless tribals at Gona village under Raighar block. In 2004 Majhi was shot in the waist by assailants, which paralysed his legs making him wheelchair bound since then. 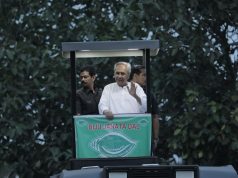 Senior congress leader and former district congress president Narayana Patro, joined BJD at the meeting. Tributes also paid martyr PSO Prasant Patro, at Kodinga.